SQL Server database schema for the "normalized" storage of all HIPAA X12 999 Functional Acknowledgement loops, segments and data elements. Since this is SQL DDL source code - all sales are final. 1) Create an empty database called EDI_999 on your DEV SQL Server (SQL Server 2008+). 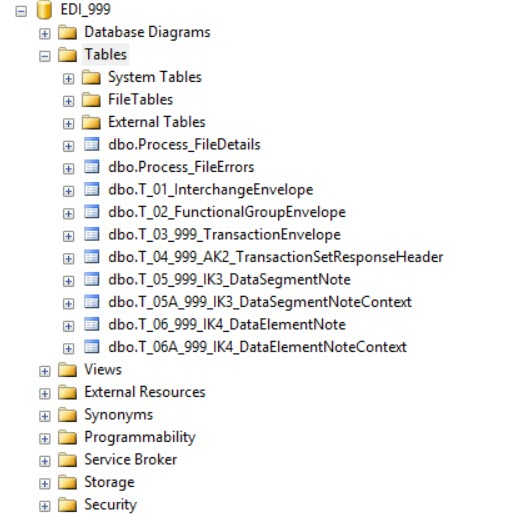 2) Run the script EDI_999.sql with the newly created, empty sql adatabse selected in the drop down list in SQL Server Management Studio (SSMS). 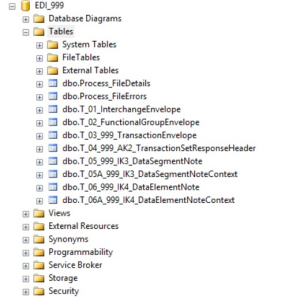 3) The DDL script has a USE EDI_999 statement at the beginning of the script in order to avoid accidentally installing the database into something other than the newly created empty database.